“We commend the FDA for recognizing the grave threat posed by electronic cigarettes on our children, and for imposing restrictions on manufacturers. With e-cigarette use having jumped by 78 percent among high school students and 48 percent among middle school students, the need for action is urgent. But limiting the sale of e-cigarettes is not enough – the FDA should also remove flavored e-cigarettes from the market and prohibit companies from marketing their products in ways that appeal to kids. “Strong federal regulation of e-cigarettes is desperately needed at a time when e-cigarette use among kids is reaching epidemic proportions. E-cigarettes remain the most commonly used tobacco product among high school and middle school students, and flavors are a major reason for e-cigarette use. “In research conducted by AHA’s Tobacco Regulation and Addiction Center (A-TRAC), 30 percent of teenage vapers said e-cigarettes taste better, have a bolder flavor and have a less burnt taste than other tobacco products; 42 percent said the ability to try many flavors sets e-cigarettes apart from other tobacco products; and 26 percent said flavors in advertisements and marketing caught their attention. “The FDA’s proposal to ban traditional cigarettes and cigars flavored with menthol is a major step to remove tobacco products from the market that pose an especially grave public health risk. Studies show that menthol cigarettes increase initiation, especially among youth. Menthol also has a disproportionate impact on minorities including African Americans, who favor menthol cigarettes and find them more difficult to successfully quit. 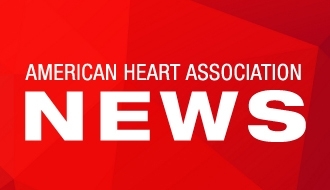 On November 10, 2018 the American Heart Association signed a joint letter to Commissioner Gottlieb on the increased youth use of e-cigarettes, including Juul. We urged the FDA to take urgent action.